Things are rarely as easy or as small as it seems. Swarm - Nether Roach dies in Turn 11, if it dies before, restart fight. In the jungle, the mighty jungle the.. wait, you're a troll. This script has compatibility for all breeds of Nether Roach to work with the original strategy for a S/S breed or the non-S/S variant. Optimal breeds are S/S or H/P, but the other two will work as well. 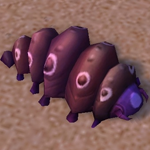 I have a H/P Nether Roach that I farmed for a strategy I wrote for a WoD tamer fight. My thoughts then and now is never try to out-speed a flying with anything other than a flying. With that in mind the next option is to make each attack as punishing as possible to remove the Flying aura. To that end I opted to skip to Swarm then Nether Blast with Shattered Defenses. 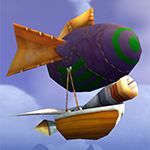 The first Nether Blast after Swarm removes Flying making Breaker slower than any breed of Nether Roach. The second Nether Blast kills Breaker. 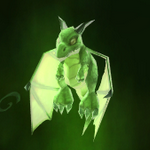 I would also point out that Hawk Eye cannot counter Croak as it reduces crit chance by 100%. This strat must be either breed-dependent or just heavily RNG because I cannot get it to work at all. If it is the breed that's the problem then I assume it's my S/S cockroach because it is impossible to get Breaker low enough before the roach dies for the Lovebird to finish him off with a predatory strike + a single alpha strike. Inukah: My Nether Roach is also an S/S breed. Given, most of these Family Battler strats (not just my own strats) were made before Patch 8.1 was released, so it's likely that Blizz have changed a few things or as usual if they haven't, we're just out of luck and have a seriously bad case of rng. Pint-Sized Pink Pachyderm is a fixed H/P breed and Lovebird Hatchling is a fixed S/S breed. You mentioned your Roach being a S/S breed as mine is.. So any chance you might have used Peanut (2nd alternative to pet slot 1) instead of Pint-Sized Pink Pachyderm? In case you have, then know that Peanut is a fixed H/H breed and therefor have less damage than the first alternative... If that's not why.. then it's just bad luck I'm afraid. I've tested my strategy here at 07:30am server time (EU server) and the strat worked fine for me. Stanley: Hiss on the roach isn't suppose to make your Roach faster. What it does is that it decreases the speed of the enemy pet it is used upon - in this strategy it's meant to be used on Breaker. Breaker is a flyer and so long as it stays above 50% HP it has that passive flying buff. Moenia: You're welcome. And thank you for letting me know that my strategy worked for you.